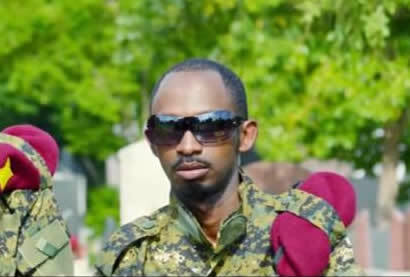 Breaking news from Rwanda is the reported arrest of Rwanda’s new rebel group, National Liberation Force (NLF) spokes person Calixte Sankara. This follows Sankara recently making media claims of NLF rebels occupying Nyungwe forest & 3 sectors of Rwanda. According to reports, Calixte Sankara was netted Saturday night at Ibrahim Airport in Comoros and was repatriated to Rwanda over the weekend by Paul Kagame special agents and with aid of Comoros authorities. This rebel group emerged mid last year and declared war on President Paul Kagame and has since engaged the government troops in fierce battles in jungles of Nyungwe in the south of Rwanda. The NLF Group is reportedly led by a one known as Paul Rusesabagina. Meanwhile, we are still gathering more details on Sankara’s arrest. We will update you.